It has been reported that the RLD wanted to contest on six Lok Sabha seats, including three Jat-dominated seats – Muzaffarnagar, Mathura and Baghpat. 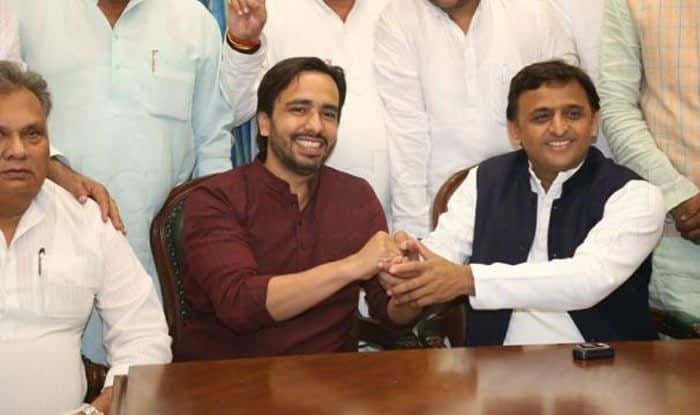 New Delhi: The Rashtriya Lok Dal (RLD) has reportedly joined hands with the Samajwadi Party-Bahujan Samaj Party alliance in Uttar Pradesh for the upcoming Lok Sabha elections. According to reports, the RLD will contest on three of the 80 seats in the state. The Jat-dominated outfit became a part of the combine after a meeting between its vice-president Jayant Chaudhary and SP chief Akhilesh Yadav on Wednesday. RLD has been seeking its resurrection since it lost all the seats it contested in 2014 and was trounced by BJP in its stronghold of west UP which has a sizeable population of Jats, Dalits and Muslims. On January 12, once arch-rivals Samajwadi Party and Bahujan Samaj Party announced their tie-up in Uttar Pradesh for the 2019 Lok Sabha polls, sharing 38 seats each and keeping the Congress out of the alliance. After being left out by the SP-BSP alliance, the Congress announced to go it alone in Uttar Pradesh and contest on all 80 Lok Sabha seats.